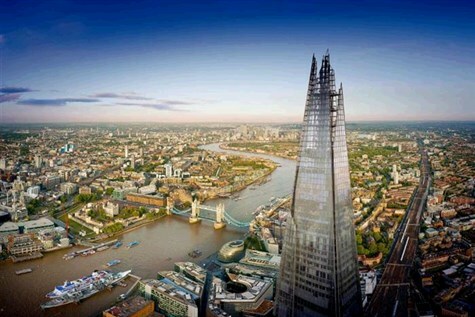 An iconic landmark building on the London skyline, designed by master architect Renzo Piano. At a height of 1016ft (310m), the tallest building in Western Europe, The Shard has redefined Londons skyline and is a dynamic symbol of London, recognisable throughout the world. Prepare to embark on a multi-sensory journey to 244m (800ft) above one of the greatest cities on earth. From floors 68, 69 and 72, almost twice the height of any other viewing platform in London, it offers visitors spectacular 360 views over the UKs capital, for up to 30 miles. There will also be free time in London. Includes afternoon tea.